Q: How can I get trial class?? A: all classes can take for traial but, you need to book .choose the class and let us know. Q: Mens can join the class?? 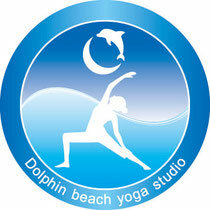 A: I'm sorry mens can join only 13:30~(sat) gentle hatha flow class. Q:Is it possible to join the class for bigginner?? A: Of course, you can join every class, but if you worry about choose the class,please ask us. Q:Are there any changing room and shower room? A: We have changing room but, we don't have any shower room. A: we recommend comfortable clothes. Q: Should I need to bring yoga mat ?? A: All studio menber's are free rental yogamat and props. Q: Is it possible to visit studio, when during class? A: I'm sorry , Please take trial class. Q: Do I need to arrive early for class?? A: Our studio door open 15 min before the class. Q: Is it possible can join the class if I late? trouble,or train late please let us know. Also, if you want to cancel class. If you have any questions please ask . thank you.